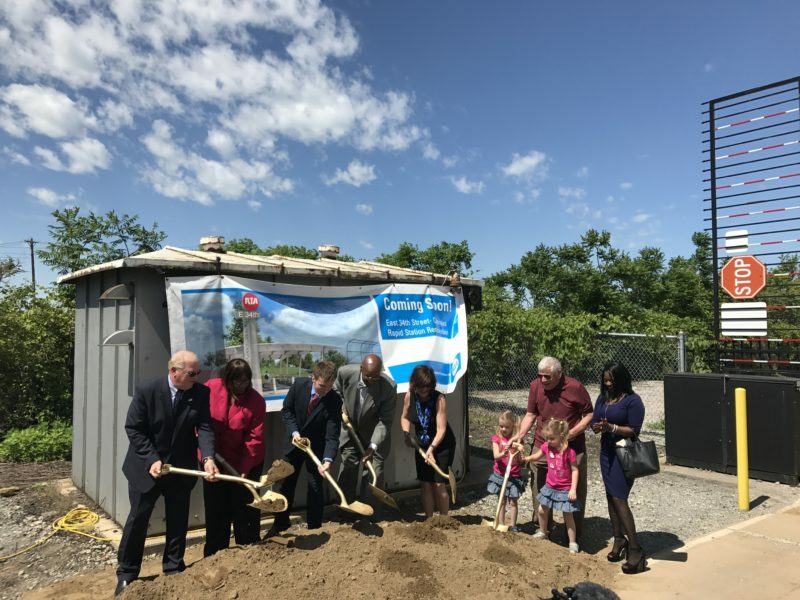 One June 6, 2017 Panzica Construction broke ground on the new RTA East 34th Street Station near the Tri-C Metro Campus. City Officials and residents of the City of Cleveland and City of South Euclid, along with RTA CEO Joe Calabrese took part in the ceremony. The project will make the new Campus Station accessible to persons with disabilities and will be a major boost to the Opportunity Corridor and the Campus District. Instead of escalators and elevators, the new station will feature an extended-ramp design, making it fully ADA compliant. The new station will be complete in late 2018.